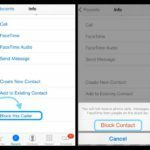 Along with a series of other major changes to the Phone app in iOS 10, Apple has created a new feature for making voicemail easier. One of the iPhone’s first major features allowed users to view voicemails individually and respond without ever leaving the phone app or calling a machine. 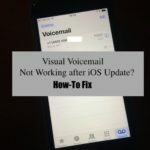 This feature, called visual voicemail, has been on the iPhone since day 1, and is still not often found outside the iPhone ecosystem. You’ll also see an option to mark if the transcription did a good job. In my experiences, it’s done well enough to understand what is going on, but rarely gets all of the message correct. People like to leave voicemails but they don’t like to receive voicemails. There is also a generation gap when it comes to voicemail. Older people like voicemail while younger prefer text based communication. This iOS 10 transcription feature will bridge that gap. Voicemail transcription is particularly convenient for business owners and employees who are often in meetings or on the go and need to check voicemail without listening to the entire message. With voicemail transcription, you can tell urgent calls from solicitations / telemarketers, and everything in between. 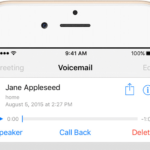 Visual Voicemail is a key feature of the iOS 10 system. 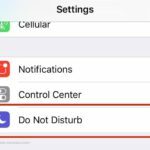 Learn about all the other useful iOS 10 features and how to use them on your iPhone and iPad by reviewing our guide. once it displays a transcript there is NO WAY BACK to list of messages??????????? I actually want it so I can discreetly check vm without having to put the phone up to my ear at work. However I have the 6 and it is not working. I have tried all the recommended fixes. My finace has the 5s and he has it. So weird. The transcription needs to be optional. Nothing but annoying! Is there any way to disable it? Yes. Please make the transcript optional. Who asked for it? Not me. Terrible idea. 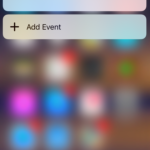 I really hope in the next iOS update, they add this as a toggle ON or OFF feature! Mine doesn’t work at all and I have a 7. Please advise. No it won’t. I just tried that and still can’t listen to the voice mail. Incredibly frustrating. If the voicemail reads “transcription not available” and you cannot listen to the actual voicemail edit the message and then mark it as read. This will let you playback the voice. Voice mail transcribing with new IOS 10 upgrade should be OPTIONAL!!!! It us ridiculous that it’s being transcribed if I don’t chose that. How do I playback a transcribed message? The audio isn’t working at all and the transcription is incomplete so I can’t get the whole message. 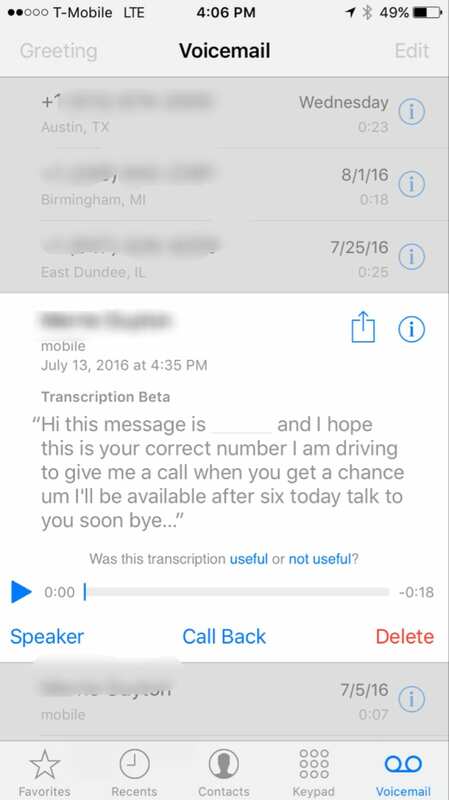 I can’t PLAY any of my voicemails, only see pretty useless transcriptions. 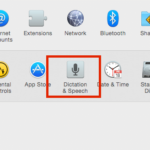 This is a major inconvenience – how do I turn transcription off and by doing so, will I be able to listen to my messages? I hate the transcript also. The only way I’ve been able to listen to the voicemail is by dialing 1 and going into it the vm the old school way. 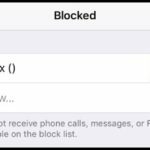 Unfortunately, from what we know there are no easy options to turn it off other than calling your carrier and getting rid of visual voicemail. Having the same issues where I’m unable to even listen to my voicemail because the menu disappears immediately after at least 5 times in a row. Need to disable ASAP as it’s nearly impossible to listen to my voicemails. Voicemail transcription should be an opt in beta, not forced on everyone. Everyone knows transcription or microphone require the speaker to speak very slowly and clearly and most people do not leave messages that way. It needs to be able to be turned on or off and not forced on the device owner. Voicemail transcription is a mess and should be an opt in beta, not forced on everyone. Then it should be turned on or off by the iPhone OWNER. Unless the caller speaks unusually slowly and clearly it is mostly nonsensical. Same problem. It doesn’t work well and I can’t access the audio!! Same problem. Please advise ASAP. Thank you. Same here, does not work on IOS 10.0.2 on my model MG632LL/A (iPhone 6 64GB) on Verizon. Unfortunately there doesn’t appear to be a way to disable it either, as I can’t even access my voicemail’s most of the time on phone. When you select them, the menu disappears. It takes anywhere from 5 to 15 select attempts before the voicemail will allow you to play it. 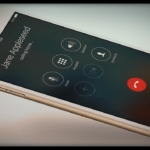 How do you turn off transcription from voicemail? How do you turn off voicemail transcript? It isn’t working for me on iPhone 6. “There isn’t anything you need to turn on with the Verizon account, it is supposed to simply work with the new update. Right now Verizon and Apple are communicating about it. It is most likely one of the fixes that will come out in 10.0.2. I have an iPhone 6, updated earlier today… my daughter has the 6S, also updated today to the new ios10. Voicemail transcription is no where to be seen. I called AT&T (my carrier) to check if it’s something they need to support, and they had no clue. :-/ Please let us know. Will it work on Iphone 6+ model? Verizon? Is not working for me.